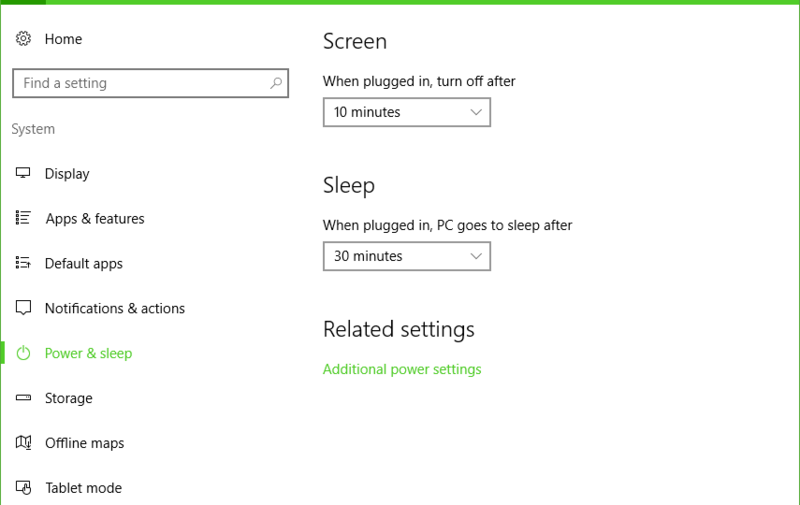 I should be able to specify that I want my computer to sleep after 30 minutes of inactivity, and it will go to sleep as expected and only wake back up when I press a key or move the mouse or something like that. Unfortunately my PC has had some issues in the past waking up from sleep for no apparent reason, as well as failing to go to sleep even when I’ve been away from it for hours (and even overnight). Here are a couple methods I use to track down the problems when they occur. This should tell you what woke it up last. Hopefully that leads you to the cause. Usually for me it’s either because I forgot to switch off my wireless mouse (it seems to “move” on its own if I don’t switch it off) or my Ethernet adapter (in that case I use Device Manager to change the adapter’s Power Management options so it can’t wake the computer—I typically set this after a reformat but sometimes I forget). Again thanks to Lifehacker for this tip. Any items listed here will be preventing the computer from sleeping. It might be a program running in the background that you need to manually quit, or a driver that maybe needs updating or reinstalling so it doesn’t misbehave, or something else along those lines. That’s it for now; if I come across any other good tips I’ll update this post. I also ran into an issue a few years ago with S3 Standby in Windows 7 with my Haswell CPU. And if you prefer to use Hibernate in Windows 10 but don’t see the option in the Start Menu, I have a post about that too.